A chief protects his own. 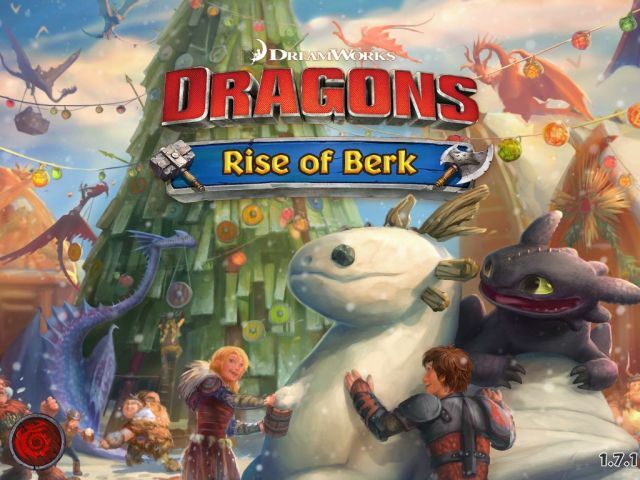 Developed by Ludia Games, Rise of Berk is a city-building game inspired by the How to Train Your Dragon franchise. 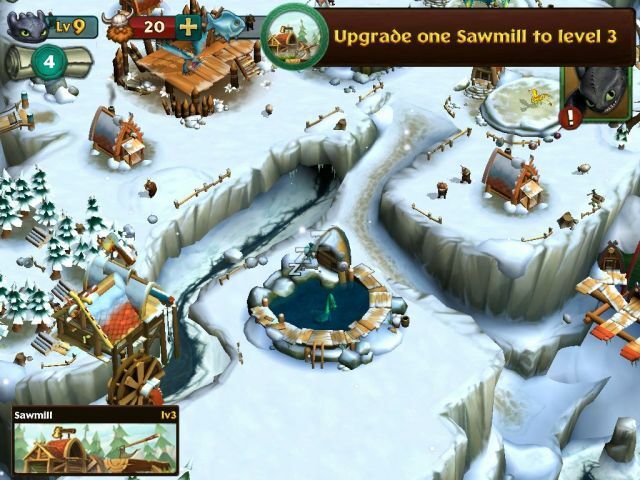 And as with most titles of this type, the main goal is to expand your village by building structures and collecting resources. There's the added factor of exploration to collect loot and dragon eggs, which players can then hatch. 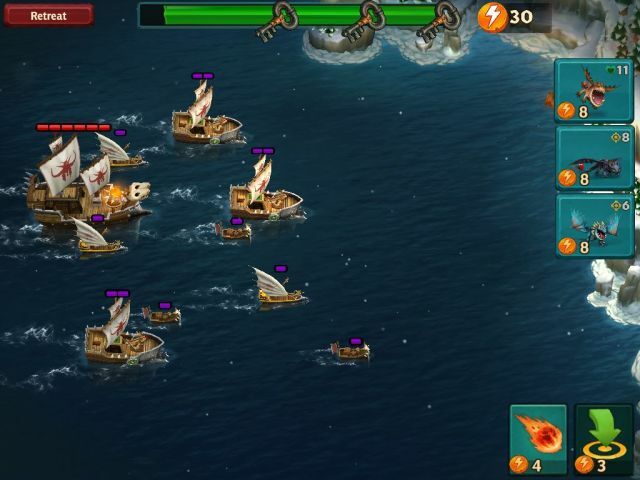 The game was first launched back in May of 2014 to celebrate the theatrical release of the second feature film and has since been periodically updated, adding new dragons and game adjustments. As with most games, one of the very first things that get noticed is the graphics, and it's safe to say that this title scores aces in this department. There is such great attention to detail in most of the elements from the different village structures as well as the dragons. The colors are also vibrant, making the game as a whole pleasing to look at. The music comprises of tracks taken from John Powell's majestic score for both feature films that fans (like myself) are sure to immediately recognize. A nice touch; an ace in the hole. It's been said earlier that this is a city-building title, in which players are tasked with expanding Berk well beyond its borders. This of course starts with stocking up on resources (in the form of wood and fish) using the dragons that Hiccup and Toothless find during their expeditions. 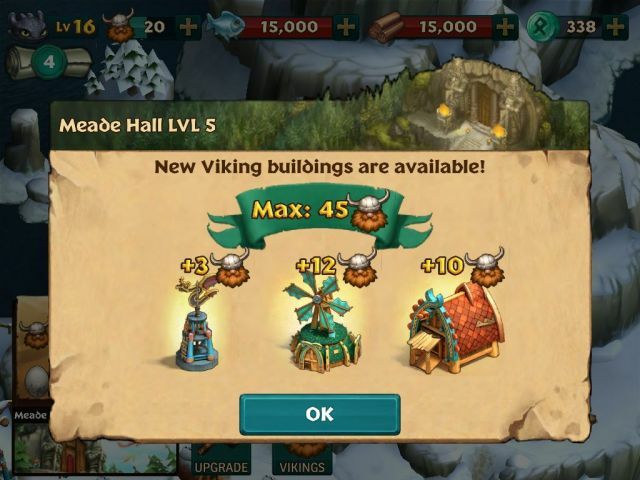 These resources can then be used to build and upgrade different structures you have within the village. As for the dragons, they start out as eggs found when players send Toothless out explore. The eggs are then sent to the Hatchery where they spend a set amount of time (from a few minutes to several hours) until they are ready to hatch. From this point, the resulting dragon is added to your roster to feed and train, so that it gains levels and becomes an effective asset to the village work-force. This game boasts a whole gaggle of dragons of different classes from the both feature films and also the TV shows so there will be plenty to collect. 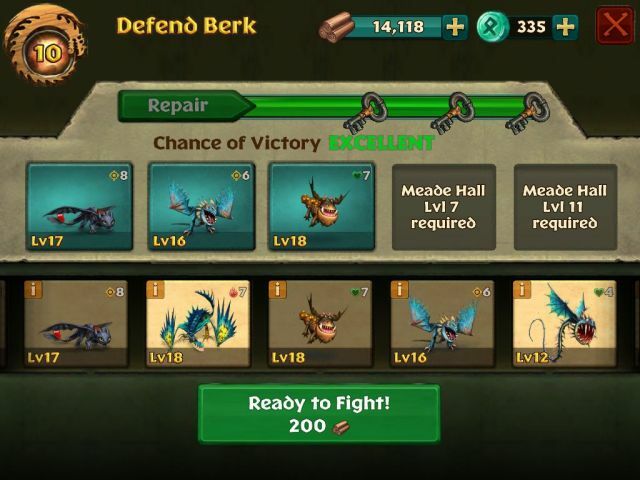 Rise of Berk is free to download and online-only game that offers some rather pricey in-app purchases, primarily runes -- the game's main currency. Runes are extremely valuable but are also quite rare. There are a few ways to get them without having to spending real money but it will require time and some patience: completing missions, digging up obstacles, and exploring, to name a few. There are also daily promos (usually lasting for a few days at a time) that give discounts for runes as well as dragons if you decide to spend real cash. 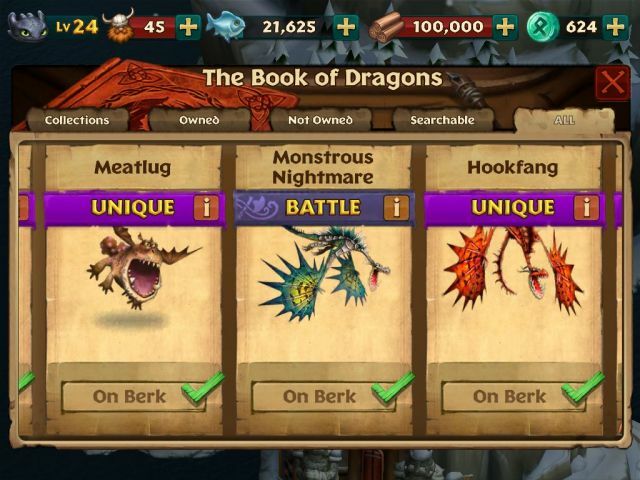 Overall, Dragons: Rise of Berk is a great, well fleshed-out, albeit very time-consuming title that will keep players occupied for a good long while. And with the third feature film and two new seasons of the TV series (which has moved to Netflix) still to come, I'm expecting to see a few more updates and tweaks being added for this game before the developer considers it a done deal. Join thousands of players as you rebuild .. Goat Simulator is the latest in goat simulation ..